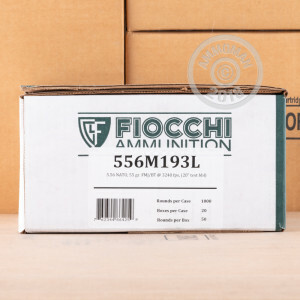 The shooter who prefers Fiocchi’s Shooting Dynamics line of ammunition fires it because it’s a remarkably cost-effective means of enjoying their AR-15 all day at the range, and also because it evinces its Italian manufacturer’s love for great quality throughout each and every one of its components. 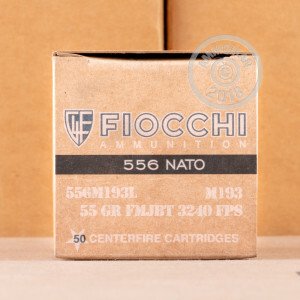 This 5.56x45 round accordingly features a precisely formed brass casing which is inherently sturdy enough to withstand multiple reloads, a sensitive primer which will not deposit a weapon’s action and bore with corrosive residues, and clean burning propellant which guarantees consistent chamber pressures and muzzle velocity. 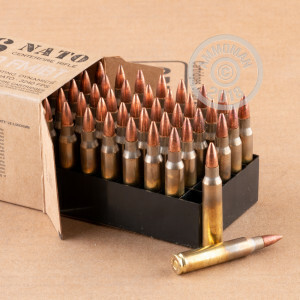 This round sports an M193 projectile, a 55 grain bullet with a lead core enveloped by a full metal jacket. Very nicely, this bullet further features a boat tail design, the tapered base of which assures great accuracy by flattening trajectory, fortifying resistance to wind drift, and maintaining superior velocity over the course of great distances.